Health Insurance Solutions is pleased to announce our High Cost Prescription Drug Program which is a unique solution for the rising Specialty Drug costs. These costs are expected to reach 40% of Employers overall prescription drug benefit expenditures! There is no risk to the plan sponsor for implementation of this program; clients only save money. 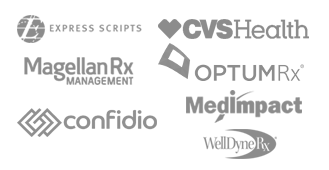 Our Program is designed to target select specialty drug products through Employer prescription drug programs and process them through our manufacturer programs with savings to the plan sponsors up to fifty percent! Targets high cost specific drug products currently processing under the PBM’s. Leverages plan design to maximize the programs value. Eliminates cost sharing for the patient. Reduces plan sponsors overall drug costs. Tracks a patients medication and reports monthly savings. Health Insurance Solutions Inc. High Cost Program captures an average savings of 30% to 50% per medication. 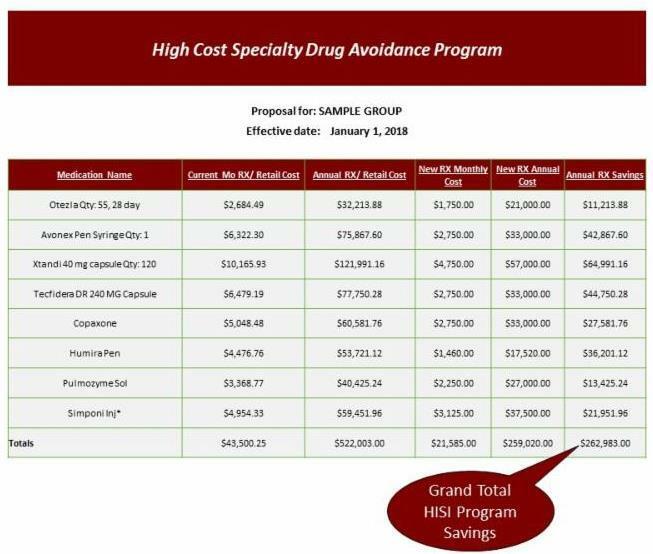 Click the chart below for a detailed view of a sample group using The High Cost Silver Bullet Program.